A few years ago, a father brought his teenage son into my office for a conversation. Yehuda was in Yeshiva out of town and he was class 3 obese. At age 16, his parents were rightfully concerned about his well-being. If at this age he was this heavy, with a 40+ BMI, what was going to happen down the road? We had a long discussion and he decided he was willing to take on a new way of eating and would arrange with someone he knew near his Yeshiva to use their exercise bike daily. He told me that other exercises could be done in his dorm room. In a way, he seemed to be relieved that we were going to tackle his obesity and health and was anxious to get started. My colleagues and I were amazed at the promising start that Yehuda had. He managed to do his homework everyday fitting it in to his learning schedule and made a radical adjustment to his eating habits. His very first week, he dropped 5 kilo. Even though that is very extreme, I figured that someone his size who was totally sedentary before and now started to exercise had a lot of built up water and excess glycogen in his muscles, so I wrote it off as a one-time phenomenon. But for the next 5 weeks, Yehuda was averaging weight loss of over 2 kilo per week and I began to worry that we were going too far too fast. Five months later, he had lost a total of 30 kilograms of weight. He certainly felt great about it and his parents were thrilled. What was really going on was that he was eating far less each day than our dietician had prescribed—plain and simple, he was losing too quickly because he was starving himself. After he left our program, he tried to maintain what he had started, but in the end, he regained all of his weight. What happened to Yehuda and so many other people who lose a lot of weight quickly? This very subject was in the news lately when the NY Times published a study that was done by a scientist named Kevin Hall. What prompted Mr. Hall to research this subject had to do with a reality show in the United States titled “The Biggest Loser”. This competition takes very obese people and each year, pits 16 people one against the other to see who can lose the largest percentage of body weight over the 7 month competition. Prize money is a big incentive, aside from all of the normal reasons one would want to lose weight. Winners typically lost more than 68 kilo (150 pounds) and sometimes much more than that. As a matter of fact, one season, the winner lost 120 kilo or 264 pounds. The problem, as documented by Mr. Hall, was that the vast majority of these competitors could not keep their weight off. They had spent 7 months exercising and eating healthfully and were 100% dedicated to success. Nevertheless, they were unable to sustain their weight loss. The factor that was common among all contestants was that their metabolisms at the end of their weight loss journeys were much slower than when they started. One of the contestant’s metabolism had slowed so much that when he ate over 800 calories per day, the body began storing those extra calories as fat. When 14 contestants who had finished the competition 6 years earlier came to be tested at the National Institutes of Health in Washington, D.C., they were all shocked over how much their resting metabolic rate had slowed with their rapid weight loss. I have helped people lose a lot of weight. No, not every single one of them has kept it off, but many have. And what is common among those who keep it off or at least limit their weight regain is that they didn’t lose it rapidly to begin with. They might have a slightly slower metabolism after the weight loss, but not to the extreme that these contestants have. Normal and healthy weight loss should be averaging half a kilo to a kilo per week. It’s true that in the first few weeks of a weight loss program you might lose more than that, but your weight loss rate should slow down. If you are losing at a higher rate than that over a long period of time, you will have a hard time keeping the weight off. This will keep your metabolism from slowing down to a point that it will become the cause for a rebound in your weight. In addition to losing at a slow and sustainable rate, there are things that we can do that are vital to keeping our metabolic rate higher. Build lean body mass. Metabolism slows as we age, by as much as 2% a year! But there is something you can do to counterbalance nature. Muscle is the single most important predictor of how well you metabolize your food, how well you burn calories and burn body fat. Strength training with dumbbells or resistance bands at least twice a week is essential to boosting your metabolism. Move! You’ve heard it before, but here’s a reminder. At least 30 to 60 minutes of walking, jogging, cycling, swimming or some other form of aerobic exercise, most days of the week, is the other half of the exercise equation. People don’t like to hear it, but exercise is essential. Eat more often. It may sound crazy to those trying to lose weight by severely restricting their daily caloric intake, but the problem with this old way of thinking is that it actually slows metabolism. Recent studies indicate that eating smaller meals every three to four hours aids metabolism and weight loss. Cut down on sugar and sweeteners. Of course, you still have to make good choices about what you eat. Sugar throws your metabolic switch into fat storage mode. Remember that whole grain foods are broken down slowly compared to refined grains. The most recent research shows that all artificial sweeteners will play tricks with the way you metabolize sugars. The results are weight gain in the long term and more of a tendency towards diabetes. Drink water. Staying well hydrated is essential to flushing the body of toxic byproducts that are released when fat is burned. Cold water may be best since it gives your metabolism at least a small boost because energy is required to heat the body. Reduce stress. At all costs! Stress can actually cause weight gain because physical and emotional stress activates the release of cortisol, a steroid that slows metabolism. Sleep. 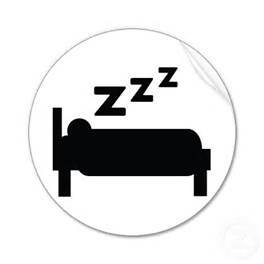 Research shows that people who don’t sleep for seven to eight hours a night are more prone to weight gain. Additionally, we now know that lean muscle is regenerated in the final couple of hours of sleep each night – which takes you right back to tip number one!